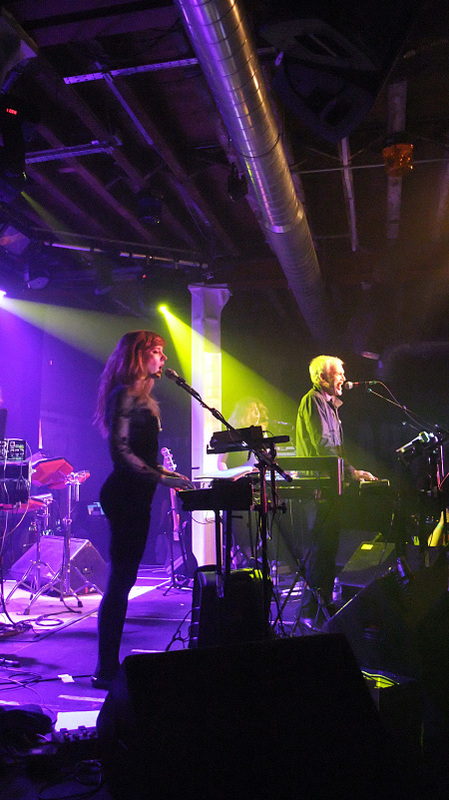 The seemingly evergreen Mr Foxx shows no signs of slowing down his progress and work rate and was in fine form this week, in the company of the Maths, judging by the two live shows in London that I managed to catch, part of a larger UK tour. 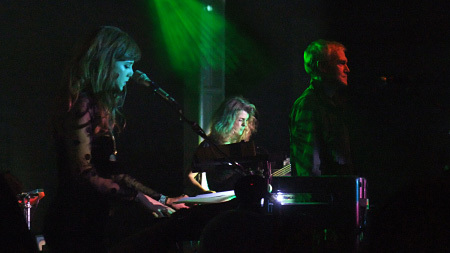 The first two live outings for the Maths featured a larger complement of members, but these shows have seen a four-piece grouping with the core Maths duo of Foxx on vocals and keyboards along with Benge on electronic percussion (a great set of shiny red Simmons drum pads) and keyboards, joined once again with Serafina Steer (keyboards, bass guitar and backing vocals) plus new member Hannah Peel providing keyboards, violin and backing vocals. First up it was evident that the band themselves were clearly really enjoying the event, which always makes a difference, smiles all round at times. A very ‘live’ experience, for sure. 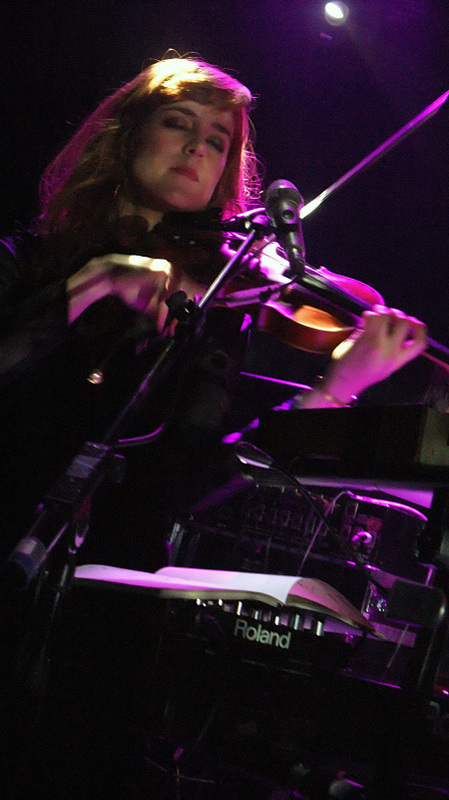 The addition of Hannah Peel’s violin in particular has brought another dimension to old favourites such as ‘Plaza’ and ‘He’s A Liquid’. The set list itself was largely from the ‘Interplay’ album, almost all of it played, plus a track from the just released second album from the Maths (‘The Shape of Things’), ‘The Shadow Of His Former Self’. Along with this were a fair few from Metamatic and some Ultravox! numbers such as Hiroshima Mon Amour, Dislocation et al. I hope that the band are able to tour again, particularly venturing overseas if they can, and I definitely encourage you to catch them if they do so, it was a great experience and I leave you with some photos from the event (with apologies to Benge, who it was difficult to catch from my vantage points). This entry was posted on Sunday, October 30th, 2011 at 12:00 pm	and is filed under General. You can follow any responses to this entry through the RSS 2.0 feed. You can skip to the end and leave a response. Pinging is currently not allowed. some very nice pictures. thanks. 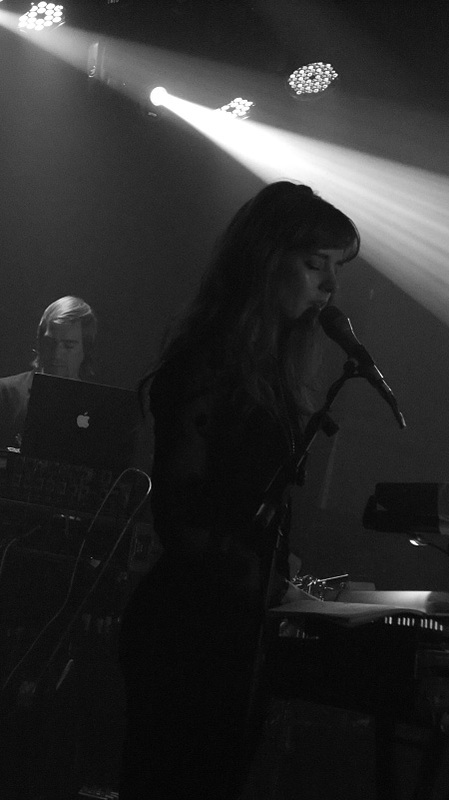 I managed to catch Tara Busch in her support slot at the first of the London shows – I rather liked her set, not sure how to describe the style – have been listening to the CD of hers I picked up at the show a lot since. 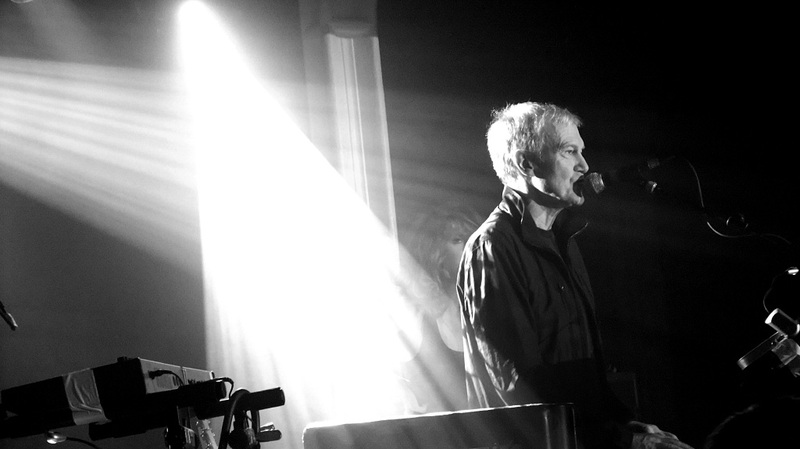 The good news is that despite the injury that JF suffered recently there are definitely plans for a few more John Foxx and the Maths shows early next year, so who knows they may yet visit the US some time. 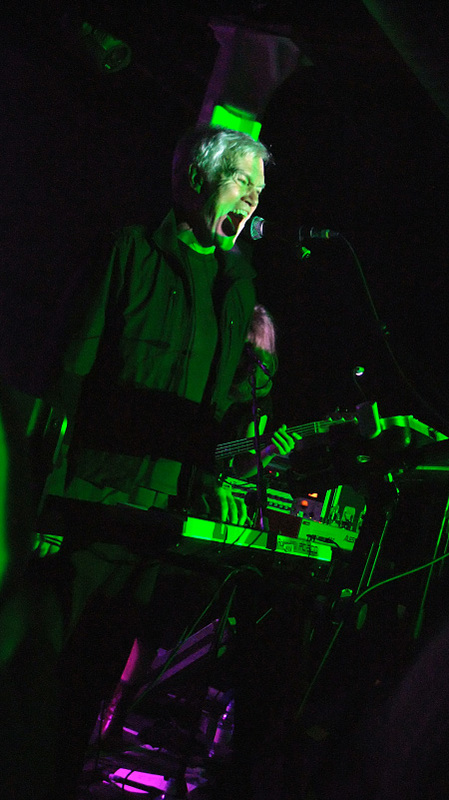 Sounds as if the Moogfest was enjoyable all the same. Well, the last time JF performed in the US was 1978 at the Whiskey-A-Go-Go with Ultravox. He did appear at a NY gallery a few years ago with his artwork in a show in a non-performance capacity. Let’s just say I’m not holding my breath. My wife assures me that wherever JF is playing in two years, at the time of my 50th birthday, we will make the sojourn no matter what the cost. Naturally, I took the news of his head injury very badly! Cranial injuries are nothing to take lightly. 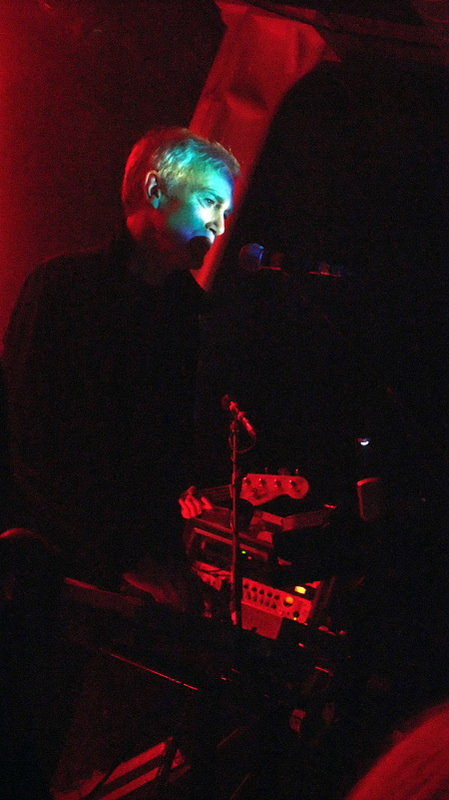 I went to all 8 UK John Foxx shows, including the London gigs. On the one hand, they really had the setlist “down” by this point (as opposed to Leamington Spa, where they all seemed quite tense), on the other hand–I think they were all quite tired. I definitely enjoyed both shows–I viewed one show from the front, one from the back. “Catwalk” was a big highlight for me–much better than the album version, IMO. BTW, MemberD–Maf is Tara’s husband, not her boyfriend. Both very nice people. I doubt if John will play the U.S. anytime soon, even though he really wants to do so. The last time John was in the U.S., he showed a film and had an art exhibition in Hudson, NY. (You can find the videos I took of this event on YouTube if you search John Foxx Hudson). This wasn’t too bad, because he was doing it as a public appearance, not for money. But if he wants to come here and do a real gig, he needs a venue/promoter to sponsor him. So, if you know anyone, contact Steve Malins at Random Management. Hi Brigid… Thanks for commenting and I look forward to reading about your trip as blogged, quite the experience I don’t doubt. I’ve caught a few gigs on a tour by some artists, but never done the full tour by any means, so well done for doing that. Have to agree about ‘Catwalk’ – it is quite something in its live incarnation, isn’t it? I hope we see more of John and the Maths, agreed though that US dates would need funding to make them happen.